Energy junior, Raven Energy (ASX:REL), previously Magnum Gas & Power (ASX:MPE), has today provided the market with a pleasing update on its progress at the Tulainyo 2-7 gas appraisal well in northern California’s Sacramento Basin. Post-well evaluation indicates multiple potential gas pay zones. The project operator, Gasfields LLC, interprets up to 56 metres (183 feet) of potential gas pay in sandstones. Planning for a critical flow test program is also now advanced. This serves as a considerable milestone for the $9.69 million-capped REL, which has a 20 per cent stake in the project. Although, it should be noted that this is still an early stage project and investors should seek professional financial advice if considering this stock for their portfolio. 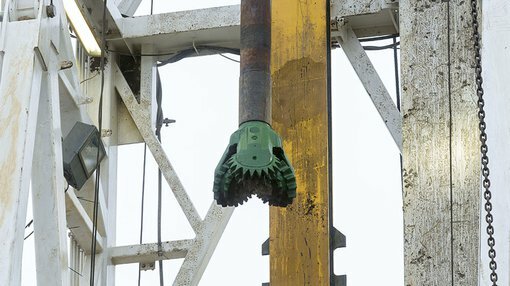 After drilling as planned to a total measured depth of 5,710 feet (1,740.4 metres), the Ensign Rig 587 was demobilised from site, the well cased and suspended, and preparations are currently underway to return to site with a gas production testing unit. Detailed analysis of the well data has been conducted for the primary section of interest within the Early Cretaceous Lodogo Formation. This analysis indicates multiple stacked sandstone units, varying as expected in thickness and quality, and are all gas saturated. The well encountered gross sandstone reservoir thicknesses of up to 118 metres (386 feet), with estimated, net gas pay of 56 metres (183 feet). Higher quality reservoir units exhibit porosities ranging from 15-20 per cent. The Tulainyo Project is situated in the prolific Sacramento Basin, around 120 kilometres northeast of Sacramento. It is held under leases covering some 40,000 net acres (152 square kilometres), and is positioned just eight kilometres from a major gas transport trunkline that supplies gas from Canada into the enormous Californian domestic market. Notably, California only produces a sixth of its annual gas demand, and is expected to import 98 per cent of its natural gas requirements by 2025. The state consumes on average some seven billion cubic feet of gas per day (that’s 2.6 trillion cubic feet of gas per year), and up to 11 billion cubic feet of gas per day during peak periods. Gas prices also attract a premium to the USA benchmark Henry Hub pricing. The Tulainyo JV includes the project operator, California Resources Production Corporation (NYSE:CRC), one of California’s largest oil and gas producers, as well as Cirque Resources LP, a private company based in Denver, Colorado. REL’s interest is held by its own 60 per cent owned subsidiary, Gasfields LLC. At completion of the farm-in earning program, it will have an effective 20 per cent interest across the project. Gasfields representative John Begg said: “We made an initial release of the well results when total depth had been reached and the zones of interest cased off and preserved for testing. Since then, evaluation of the well data, in particular the wireline logs, has progressed. “We are now more confident that the entire section of interest is gas saturated and sandstone reservoirs of sufficient quality to support commercial scale flows of natural gas are present. We still need to prove this via flow testing and will have more to say about the test program once finalised. “From the outset, we have viewed this as a potential play opening well. If we are successful with the test program, we have a real shot at proving up at Tulainyo what Gasfields believes has potential to be the largest new, conventional gas project in California in many years,” said Begg.